The local life insurance industry has continued to grow and evolve, thanks to the great leaders in the Life Insurance Industry in the Philippines and Asia Pacific. The best performing business partners propel their respective companies and the industry to unprecedented heights. These aces form the elite circle of life insurance agents in the region transforming their capacity to identify trends, collaborate, rapidly respond, thrive and raise great new leaders. 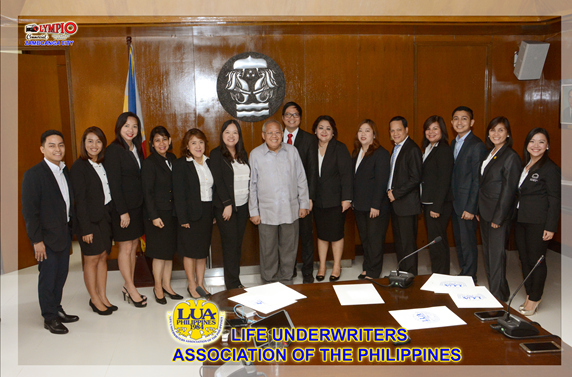 In the same way, Life Underwriters Association of the Philippines (LUAP) has also grown tremendously in the past 25 years. LUAP is a symbol of strength, success and the ambition to fly high. It had its induction of its 2016 roster of officers officiated recently by Insurance Commissioner Atty. Emmanuel Dooc. And Emmanuel D. Paras, a Registered Financial Planner and an Agency Manager at Philam Life, who expects nothing but excellence and dedication from the rest of the board was elected as its president. LUAP is an organization of well-trained, competent and highly respectable professional life insurance agents who are committed to rendering the highest standards of ethical service to the public, abiding and conforming to all laws of regulations of the governing bodies, and contributing to the betterment of the community. From a small group of colleagues and peers organized by Ms. Lulu Del Mundo, Mr. Gregorio Tongko, Mr. Antonio Ignacio, Ms. Tedea M. Camarillo, and Ms. Purificacion Lozare. in February 1984, LUAP has become one of the largest and most successful associations in the Industry.